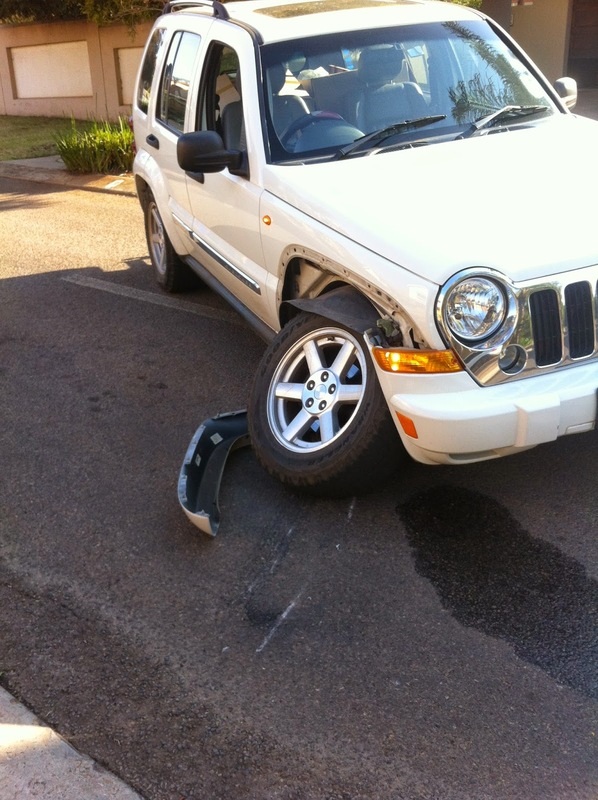 I need to sell my 2006 Jeep Cherokee 2.8CRD with 180,000km on the clock. I'll be selling my car to someone I know as there is no way that I'm advertising and selling to a total stranger, not in South Africa. A friend arranged to meet a potential buyer in a public place, he took a friend with him for security, they were bundled into the boot of their car and held hostage in a township over an hours drive north, for several hours before finally being released after one of them became very ill. I never did ask what happened to their car. I'm sure there are plenty of successful stories but I'm not prepared to take the risk. I've owned Chryslers and Jeeps before in the UK but sold or traded them in after 4 yrs. I bought this Jeep at 4 yrs old. I tweet frequently and blog about my experiences in SA and therefore everyone I know here, knows about the problems I've had with my Jeep, therefore I feel the need to explain it's frequent trips to the garage for months on end. My first breakdown occurred in May 2011, when my tyre blew out in the outside lane at 120km. The tyre pressure valve was faulty so I had no indication it was running flat, I bought a new tyre and still don't have a pressure valve which means the light is on all the time on the dash board. I argued with the garage over it and asked them to order me a new one which I said I'd pay for, all that happened was they kept saying it wasn't covered under warranty and I had a Facebook request for friendship from the salesman. How inappropriate was that? I've had a yearly service which has left my car off the road for several weeks, not because there were any major problems other than break pad and disc changes, but for some reason I end up choosing idiot garages that are so desperate for the work, but don't have the tools or fail to order the parts needed. I broke down in 2012, the car refused to restart after refuelling so I called the breakdown company, they subcontracted to a tow company who subsequently failed to remove the key from the ignition and broke my steering column. The breakdown was due to a new starting motor, which was under warranty, however the warrantee company argued over the dates and it took 3 weeks before they agreed to pay up, in the meantime I was without a vehicle. It was then the garage informed me the steering column was broken and I was told my my insurance company I had to take the issue up with the tow company, after politely and forcefully informing them that my contract was with them and as they sub contracted it was their responsibility to sort, I finally got my car back and fixed, 7 weeks after the breakdown. In December 2013 I started to hear a knocking when driving over bumping ground. My son had learnt to drive in the Jeep and I assumed he had been driving Top Gear style so wasn't surprised to hear it was the front suspension that needed fixing. Easy to sort I thought, order parts and fix.....no, parts wouldn't be in stock until the end of January, so with a bit of googling and phoning around, I found parts, ordered, collected and returned with them to the garage, to discover they didn't have the tools to do the job, so contacted the garage where I'd purchased the parts from and they informed me they closed at 5pm for Christmas that day, but booked me in on January 6th for the repairs. So no car over Christmas, Mother in Law and both kids were here, so we all suffered with a little bit of cabin fever. On January 6th on taking the car and the spare parts to the garage, they informed me there was nothing wrong with the front suspension, it was the rear and not only needed new parts but bushes also and thankfully they had them in stock. More money handed over and car returned the following day. In August this year, whilst reversing off my drive, my wheel fell off. Give me strength, Insurance company called who subcontracted to tow firm, who I forcibly had to stop from literally dragging my car, with drive shaft dragging on the floor onto their truck, another guy arrived, despite me informing them it needed a pick up, not a tow and they fashioned a trolley under the wheel to drag the vehicle some 3 hrs later and took it away. This time I had car hire as it was an accident, not a breakdown, for 30 days, but with previous experience something was bound to go wrong. I was told it was mechanical not a breakdown, but I'd done my research and ball joints are none serviceable parts, neither had Jeep done a product recall for my make and model and as I was on the road and not my drive it eventually classified as an accident not a breakdown. Had I have been on the highway when it happened, I probably wouldn't be writing this blog post now, I'd have flipped the car at speed and would almost be dead now. Anyway 28 days later, my car was back, hubby put in new bulbs for the brakes and we bought new struts for the glass window at the back as they'd failed a year ago and I had to use an umbrella to prop the glass open. But to my dismay, the following day, my car refused to start, I cried, I gave up. I went away for a few days then we had visitors, then I googled and made several calls and 2 weeks later after a visit to The Battery Centre who replaced my battery free of charge, I'm now back on the road and selling the vehicle. My issues with the car being off the road for so long each time have been due to the garages and the insurance company I choose to use, not the Jeep, not the parts. So if you're interested message me, I'm asking R70,000 for it.